This is a transcript of a speech delivered by historian Timothy Snyder of Yale University at a conference on Germany’s Historical Responsibility towards Ukraine held in the German Bundestag, on 20 June 2017. The event was organized by the parliamentary faction of the German Green party. In his speech, the prominent American historian warns German parliamentarians to avoid the dangers of acquiescing to the officious Russian government interpretation of the events of the Second World War. This speech was delivered to the German Bundestag within the context of the continuing German debate over historical responsibility for the actions of the Nazi regime. Snyder’s position is that German wartime actions in Ukraine require as much responsibility toward Ukraine as those that were carried out on Russian territory. This essay appeared in the October/November 2017 issue of The Odessa Review, which was supported by the Ukrainian Jewish Encounter. When we ask, ‘Why historical responsibility, why German historical responsibility?’, I want to begin from the universal point of view. I’m not coming to you as an American saying ‘we’ve understood our past and therefore everything is going well in our country.’ On the contrary, I think it’s very important for all of us, whether things are going well or things are going badly, whether we’re Americans or Germans or Russians, to be humble about our various weaknesses in dealing with our past, and above all to be realistic, to be sensitive, to be concerned about how our failures to deal with our own national past can have surprisingly great and immediate and painful consequences for the present and for the future. So when we ask: why should we be discussing historical responsibility just now; why, when Russia has invaded and occupied a part of Ukraine; why, when Brexit negotiations have begun; why, when a whole series of elections between populists and others is being carried out across Europe; why, when the constitutional system of the USA is under threat from within; why, in this moment, should we talk about historical responsibility, my answer is that it is precisely for those reasons that one must talk about historical responsibility. There are many causes of the problems within the European Union and there are many causes of the crisis of democracy and the rule of law in the United States. But one of them is precisely the inability to deal with certain aspects of history. So, as I say, I am not coming to you from the position that Americans have figured this out. 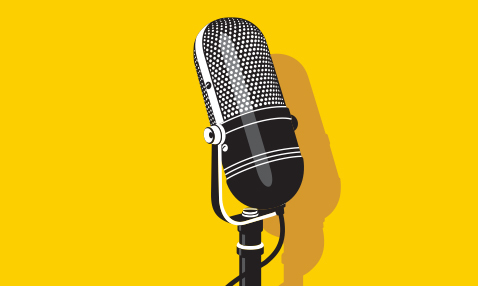 On the contrary, let me begin talking about Germany by talking about the United States. Why do we have the government that we have now? In some significant measure, it is because we Americans have failed to take historical responsibility for certain important parts of our own history. How can we have a president of the United States in 2017 who is irresponsible on racial issues? How can we have an attorney general in 2017 who is a white supremacist? Because we have failed to deal with important questions of our own past. Not just the history of the Second World War. It might not come clear from this distance how radically the current presidential administration is revising the American attitude towards the Second World War. But when our foreign policy is labeled “America first”, we are referring to an isolationist and very often a white supremacist movement which was meant to keep America from entering the war against fascism. When we commemorate the Holocaust without mentioning that the Holocaust involved Jews, when the presidential spokesman says that Hitler only killed his own people, we’re in a very different mental and moral world than we were just a few months ago. But it’s not just that. We also have a presidential administration where the president wonders aloud why we fought the civil war, why it was after all that there had to be a conflict in America about slavery. I’m not just mentioning this because I take every opportunity now to involve myself in the domestic politics of my own country, but rather because this question of slavery, precisely this question of what a colony is like, of what an empire is like, leads us directly to what I take to be the blind spot in German historical memory. As you will all know, the American frontier empire was built largely by slave labor. As we don’t always remember, it was precisely that model of frontier colonialism, of a frontier empire built by slave labour, that was admired by Adolf Hitler. When Adolf Hitler spoke about the United States, it was generally — before the war at least — with admiration. And it was a question for Hitler: who will the racial inferiors be? Who will the slaves be in the German Eastern empire? And the answer that he gave, both in Mein Kampf, and in his second book, and in practice with the invasion of 1941, the answer was: the Ukrainians. The Ukrainians were to be at the center of a project of colonization and enslavement. The Ukrainians were to be treated as Afrikaner, or as Neger — the word was very often used, as those of you who read German documents from the war will know — by analogy with the United States. The idea was to create a slavery-driven, exterminatory, colonial regime in Eastern Europe where the center was going to be Ukraine. Now, you have been told many times what results from this, so let me just briefly summarize. The purpose of the Second World War, from Hitler’s point of view, was the conquest of Ukraine. It is therefore senseless to commemorate any part of the Second World War without beginning from Ukraine. Any commemoration of the Second World War which involves the Nazi purposes — the ideological, economic, and political purposes of the Nazi regime — must begin precisely from Ukraine. This is not only a matter of theory, this is a matter of practice. German policies, the policies that we remember, all of them focus precisely on Ukraine: The Hunger Plan, with its notion that tens of millions of people were going to starve in the winter of 1941; Generalplan Ost, with its idea that millions more people would be forcibly transported or killed in the 5, 10, or 15 years to follow, but also the final solution, Hitler’s idea of the elimination of Jews; all of these policies hung together in theory and in practice, with the idea of an invasion of the Soviet Union, the major goal of which would be the conquest of Ukraine. The result of the ideology of this war was that some 3.5 million inhabitants of Soviet Ukraine — civilians — were victims of German killing policies between 1941 and 1945. In addition to that 3.5 million, about 3 million Ukrainians, inhabitants of Soviet Ukraine, died as soldiers in the Red Army, or died indirectly as a consequence of the war. These numbers are numbers for inhabitants of Soviet Ukraine alone. Of course, the numbers are greater when one includes the entire Soviet Union. But it’s worth being specific here about the difference between Ukraine and the rest of the Soviet Union, for two reasons. The first is that Ukraine was the major war aim. Ukraine was the center of Hitler’s ideological colonialism. But beyond that, in practice, all of Soviet Ukraine was occupied for most of the war, which is why for Ukrainians today, war is something that happens here, as opposed to elsewhere. Hitler never planned to conquer any more than 10% of Soviet Russia, and in practice German armies never occupied more than 5% of Soviet Russia, and that for a relatively brief period of time. Russians suffered in the Second World War in a way that is unthinkable to West Europeans, in a way that is unthinkable even for Germans. But nevertheless, when we think about the Soviet Union, the place of Soviet Ukraine is very special, even by comparison to Soviet Russia. In absolute numbers, more inhabitants of Soviet Ukraine die in the Second World War than the inhabitants of Soviet Russia. And these are the calculations of Russian historians. Which means in relative terms, Ukraine was far, far more at risk than Soviet Russia during the war. In other words, it is very important to think of the German Vernichtungskrieg [war of extermination] against the Soviet Union, but at the center of that is Soviet Ukraine. So if we want to talk about German responsibility for Russia, very good — but that discussion must begin with Ukraine. Ukraine is on the way to Russia, and the greatest malicious intention and the greatest destructive practice of the German war was precisely in Ukraine. If one is going to be serious about German historical responsibility for the East, the word ‘Ukraine’ must be in the first sentence. This also goes for the longest and the most earnest, and I think the most important discussion having to do with German responsibility in the East, and that is German responsibility for the mass murder of the Jews of Europe. That is another discussion that makes no sense without mention of Ukraine. As I was walking to this Parliament building, I passed on the street the famous picture of Willy Brandt kneeling, famously, before the monument to the Warsaw Ghetto Uprising. This is an important turning point in the history of German self-recognition, of German responsibility. But I ask you to think back not to Willy Brandt in Warsaw in 1970, but think of Jürgen Stroop in Warsaw in 1943. Jürgen Stroop, the German police commander who put down the Warsaw ghetto uprising, who issued the orders for his men to go with flamethrowers from basement to basement to murder the Jews of Warsaw who were still alive. When Jürgen Stroop was asked: why did you do this? Why did you kill the Jews who were still alive in the Warsaw ghetto? his answer was Die ukrainische Kornkammer. Milch und Honig von der Ukraine [the Ukrainian breadbasket; milk and honey from Ukraine]. Even in 1943, Jürgen Stroop, as he is killing Jews in Warsaw, of Ukraine. He is thinking of the German colonial war in Ukraine. Ukraine is the cause of the war. Had Hitler not had the colonial idea to fight a war in Eastern Europe to control Ukraine, had there not been that plan, there could not have been a Holocaust. Because it is that plan that brings German power into Eastern Europe where the Jews lived. Secondly, the actual war in Ukraine brings the Wehrmacht, brings the SS and the German police to the places where Jews could be killed. Which brings us to the third point: the methods. It became clear to Germans in 1941 that something like a Holocaust could be perpetrated because of massacres in places like Kamianets-Podilsky, or, more notoriously, Babyn Yar on the edge of Kyiv. It was there that for the first time — not only in the history of the war, but for the first time in the history of humanity — tens of thousands of people were killed by bullets in a continuous large-scale massacre. It was events like this, on the territory of Ukraine precisely, that made it clear that something like a Holocaust could happen. What does this mean? It means that every German who takes seriously the idea of responsibility for the Holocaust must also take seriously the history of the German occupation of Ukraine. Or to put it a different way, taking seriously the history of the German occupation of Ukraine is one way to take seriously the history of the Holocaust. 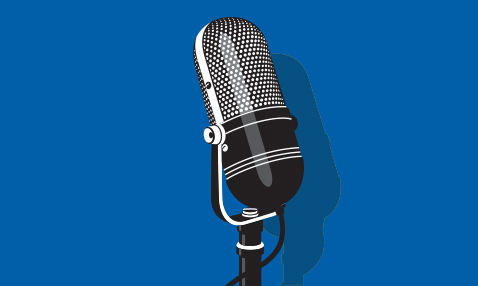 How do we evaluate the question of German responsibility? What about the Ukrainians themselves? Shouldn’t Ukrainians themselves be carrying out discussions about what happened in occupied Ukraine during World War II? Isn’t Ukrainian nationalism also a theme that should be discussed? Of course it is. I made my entire career writing about Ukrainian nationalism. That’s why I can be introduced as a professor at Yale University — because I wrote about Ukrainian nationalism, about Ukrainian nationalists and the ethnic cleansing of Poles in 1943. Be- cause I published the first article in a Western language about the role of the Ukrainian police in the Holocaust and how that led to the ethnic cleansing of Poles in 1943. Ukrainian nationalism is a real historical tendency and it ought to be studied judiciously, as some members of the audience here have done better and more recently than I. But if we are speaking not in Kyiv, but in Berlin, if we are speaking of German historical responsibility, we have to recognize that Ukrainian nationalism is one consequence of the German war in Eastern Europe. Ukrainian nationalism was relatively a minor force in interwar Poland. It was paid by the German Abwehr. Ukrainian nationalists in Polish prison were released precisely because Germany invaded Poland in 1939. When Germany and the Soviet Union jointly invaded Poland in 1939, destroying the Polish state, this also destroyed all the legal political parties, including the legal Ukrainian parties, which up until that point were much more important than Ukrainian nationalists. So, as I say, if we are in Kyiv, then we must discuss the role of Ukrainian nationalists in the Holocaust and in collaboration. When I was in Kyiv in September to commemorate the 75th anniversary of Babyn Yar, that is precisely the point that I made. But if we are in Germany, it is very important that Ukrainian nationalism be seen as part of German responsibility. It’s not something that can block German responsibility; it’s not an excuse to avoid German responsibility. Ukrainian nationalism was part of German occupation policy, and when you occupy a country, you have to take responsibility for the tactics and policies of occupation that you choose. And so Ukrainian nationalism must not be a reason for Germans to not think of their responsibility. It is in fact one more reason to think of German responsibility. However, I’ve probably spoken long enough on that theme. It’s very important that when we speak about Ukraine, we’re not only speaking about nationalists. Nationalists are relatively a small part of Ukrainian history, they’re a relatively small part of the Ukrainian present. When we think about the German occupation of Ukraine, we have to remember some very simple banal points that often escape our attention. Like for example, there was no particular correlation between nationality and collaboration. Russians collaborated, Crimean Tatars collaborated, Belarusians collaborated. Everyone collaborated; there is no, as far as we can tell, correlation between ethnicity and collaboration, with the partial exception of the Volkesdeutsche, of course. But in general, there is no correlation between ethnicity and collaboration. Something else to remember: the majority, probably the vast majority, of people who collaborated with the German occupation were not politically motivated. They were collaborating with an occupation that was there, and an occupation which is a German historical responsibility. Something that is never said, because it’s inconvenient for precisely everyone, is that more Ukrainian communists collaborated with the Germans than did Ukrainian nationalists. This doesn’t seem to make sense to us, and so no one ever says it, but it is precisely the case. Vastly more members of the Communist Party collaborated with the German occupation than did Ukrainian nationalists. Incomparably more Ukrainians died fighting against the Wehrmacht than fighting on the side of the Wehrmacht, which is not something that one can say about every country that’s considered an ally. It’s not something that someone can say about, for example, France, which is why there’s no official French history of the Second World War and why there won’t be one even under Macron. There are some things that Macron cannot do, and one of them will be this: he will not write the official history of the Second World War in France, because more French soldiers fought on the Axis side than the Allied side. Now, more Ukrainians fought and died on the Allied side than French, British or Americans. More Ukrainians fought and died on the Allied side than French, British and Americans put together. Why do we not see this? Because we forget that Ukrainians were fighting in the Red Army. We confuse the Red Army with the Russian Army, which it most definitely was not. The Red Army was the army of the Soviet Union, in which Ukrainians, because of the geography of the war were substantially over-represented. So when we think about how the occupation ended, we also have to remember where Ukrainians were most of the time — that Ukrainians suffered in the German occupation, where roughly 3.5 million Ukrainian civilians, mostly women and children, were killed, and again, roughly 3 million Ukrainians died in the Red Army fighting against the Wehrmacht. Where does this leave Germany, and why is this more complicated than it otherwise may seem to be? As a historian, I know the history of Ukraine is unfamiliar, and it can seem complicated, but this is not the only problem. Part of the problem, as I suggested when I mentioned my own country in the beginning, has to do to habits of mind: related to colonization; to wars of aggression; to the attempt to enslave another people. The attempt to enslave another people cannot be innocent, even for the generations to come. The attempt to enslave another people, a neighboring people, will leave its mark, if not directly confronted. And to make matters worse, we are not in the environment in Europe today where these discussions can always take place dispassionately. We’re at a very precise moment where German attempts to discuss German responsibility are always simultaneously parts of a discussion carried out from elsewhere about responsibility. So when we ask: why are all these basic points not remembered? Why is it not always remembered that Ukraine was the center of Hitler’s ideology, of German war planning, that Ukrainians were the intended slaves of Germany? Why is it not always remembered that Ukrainians were understood racially, by Nazi ideology? 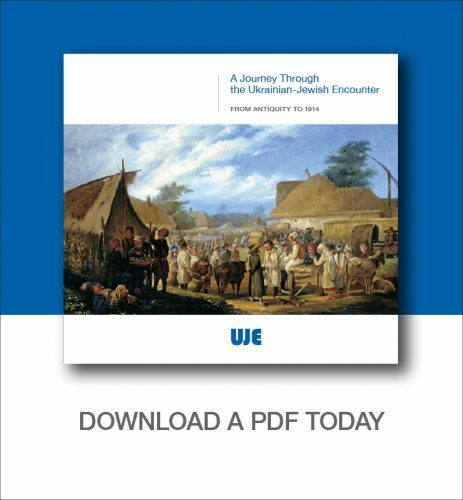 That if we want to understand the Holocaust, we have to start with Ukraine? Why is it not always remembered that about 6.5 million inhabitants of Soviet Ukraine died as a result of German occupation? — there are lots of reasons, but among them are the mental temptations left over by colonization, the tendency to overlook a people which was not regarded as a people. All of the language about Ukraine as a failed state, or Ukrainians not as a real nation, or Ukrainians divided by culture — in the German language — that is not innocent. That is an inheritance of an attempt to colonize a people not regarded as a people. Judgements about Ukraine where Ukraine is held to other standards — not that it’s a beautiful, wonderful place in every respect: it’s not — but the application of terms like there not being a Ukrainian nation, or there not being a Ukrainian state, if those things are said in German without a direct confrontation with the German attempt to enslave Ukrainians, those words are not innocent, those words have to be reflected historically in Germany. And there’s a particular problem with all of this, which I’m going to mention last. The temptation for Germans to avoid responsibility, which is always a great temptation, is encouraged by precisely Russian foreign policy. It is Russian foreign policy to divide the history of the Soviet Union into two parts. There’s the good part, which is the Russian part, and there is the bad part, which is the Ukrainian part. I can sum this up for you faster than the official memo of the Russian foreign policy does it: liberation — Russian; collaboration — Ukrainian. That is the line that they follow very consistently — and, in this country, to great effect. Because Russian foreign policy regards the German sense of responsibility as a resource to be manipulated, and the great temptation here is that Germany, which has done so much and which in many ways is so exemplary in its treatment of the past, will fail in this centrally important area of Ukraine in part because of the temptation that Russia offers. It is so easy to confuse Soviet Union with Russland. It happens all the time. But it is not innocent. Russian diplomats do it, but no German should do it. No German should confuse Soviet Union with Russland, that simply should not ever happen. But the way that Russia handles its memory policy is to export irresponsibility. It’s to tempt other countries into the same attitude towards Ukraine that it has itself. And this is particularly evident in its concept of Ukrainian nationalists — which again is a real historical phenomenon, but is vastly, vastly inflated in the discourse between Russians and Germans. Ukrainian nationalism was one of the reasons given [by Stalin] for the great famine of 1932 and 1933. Ukrainian nationalism was one of the reasons given for the Terror in 1937 and 1938. Ukrainian nationalism was one of the reasons given by Stalin for the mass deportations of inhabitants of Soviet Ukraine after the Second World War, and Ukrainian nationalism was the reason given for the Russian invasion of Ukraine in 2014. There is a common genealogy here, and a temptation precisely for Germans, because if the war was all about nationalism, then why would Germans oppose it? If the Ukrainian government was nationalist, then why should Germany do anything to stop Russia? It’s such a tempting trap to fall into, but I can say this from experience as an American: if you get the history of colonization and slavery wrong, it can come back. And your history with Ukraine is precisely the history of colonization and slavery. If the remnants of German nationalism, which are still with you, on the left and on the right, meet up with the dominance of official Russian nationalism, if you find common ground there — the common ground being ‘it’s all the fault of Ukraine; why should we apologize, why should you remember?’ — this is a danger for Germany as a democracy precisely. Russian policies, because they weren’t: they were Soviet policies in which Ukrainians also played a role. That is historical work for Ukrainians to do. When I was in Ukraine in September, talking about Babyn Yar, when I was standing in front of millions of Ukrainian television viewers trying to talk about these things in Ukrainian, the point that I tried to make was: you don’t remember Babyn Yar for the Jews. You remember Babyn Yar for yourselves. You remember the Holocaust in Ukraine because of its part of building up a responsible civil society and, hopefully, in the future, of a functioning democracy in Ukraine. That holds for them, but it also holds for me, and for you, for all of us. The point of remembering German responsibility for the 6.5 million deaths caused by the German war against the Soviet Union in Ukraine is not to help Ukraine. Ukrainians are aware of these crimes. Ukrainians live, the children and grandchildren and great-grandchildren of that generation, they live with the legacy of these crimes already. The point is not to help Ukraine, the point is to help Germany. Germany as a democracy, particularly in this historical moment, as we face Brexit, as we face election after election with populists, as we face a declining and decreasingly democratic USA, precisely at this moment, Germany cannot afford to get major issues of its history wrong. Precisely at this moment, the German sense of responsibility has to be completed. Perhaps up until now, Germany getting its history right was just a matter for Germans. Perhaps at the time of the Historikerstreit [‘historian’s quarrel’, the intellectual and political debate in West Germany] in the 1980’s, the history of the Holocaust was a only matter for Germans. It has to be done for Germans, but the consequences are international. Getting the history of Ukraine wrong in 2013 and 2014 had European consequences. Getting the history of Ukraine wrong now, when Germany is the leading democracy in the West, will have international consequences. 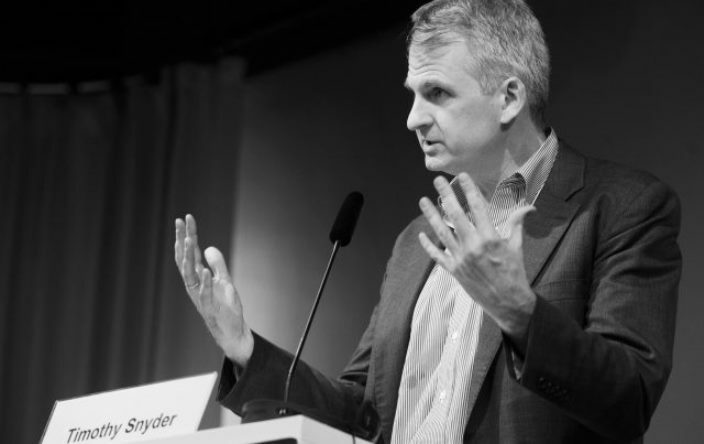 Timothy Snyder is the Richard C. Levin Professor of History at Yale University.